Home How To Guides Inspirations Make Money Blogging How To Make Money With Zazzle? How To Make Money With Zazzle? Many people are nowadays looking for good business that can give them lot of profits. But building business own your own base for yourself is a great idea to get the most out of it and it is better than seeking employment in other business organizations. There are many best ways to build your own business and one of them is Zazzle which gives you a great opportunity to earn some extra bucks. All you need to do is to create and sell your designs to others online. 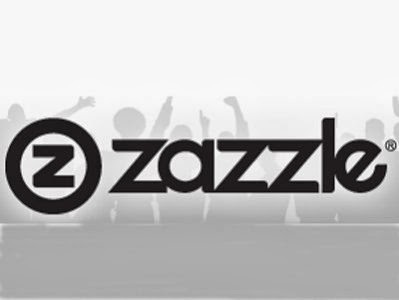 Here is all the information that you need about Zazzle. Take a look! Zazzle is an online market place, where best way to get successful is through the creativity of designs. However, you just have to create some beautiful designs with your own ideas and sell them, without worrying about its manufacturing, shipping and reviews. You just need to put it for sale on Zazzle. Keep in mind that promoting your designs will cost you nothing, so this is a great opportunity for you as well. There are two ways that can help you to earn from Zazzle, one is to promote your design and others will but it from you, and the second is to promote someone else's design and earn money for diverting the audience to Zazzle to buy designs from others. Its strategy is simple than you imagine! You can sell anything on Zazzle that you can create from scratch. Creativity is fun! So, whatever you can think to design e.g. mug, candle, cloth print, shirts, mobile covers, bottles and so on, can be placed to Zazzle for sale. You need to refer customers to Zazzle, so that you'll receive 15% reward for each of the sale they do, whether from your website or through offline marketing. In order to engage more sales, you need to create a referral id of 18-digit from the associate section and post it on your blogs, websites and social networks. Here you'll get an opportunity to multiply your earnings. Yes! Once you'll reach closer to $100 through increasing your sales, your chances will get higher to get 17+% extra bonus payments. You don't need to wait for taking your earnings to any huge amount, all you need to do is to combine the sales from your multiple accounts and you'll reach the level where you'll earn with extra 17% bonus once your sale will hit $10,000 cost or above. You'll receive the bonus from Zazzle at the end of each month, so you don't need to worry about that. It will automatically build a direct link to your store. It makes it easier for you to show your friends about your valuable products, by providing them a link that you'll get. It easily shows all your products on your blog directly which will help you to engage your sales and you'll get referrals more easily. Free banners which you can put to different places to get more referrals. You can create an tremendous flash panel through that your products will be displayed on blogs and websites which will allow customers to take a look at your products easily. You can promote your stores on Zazzle international domains. How You Will Get Payments? You will receive your payment via checks or Zazzle will transfer your payments to your Paypal account. Zazzle only sends payments through Paypal only, but soon there will be more ways to make it easier for everyone to receive their payments. So, what do you think about Zazzle? Isn't it a best and easy way to earn online?